HAVE YOU EXPERIENCED AN INCREASE IN YOUR ELECTRICITY BILL RECENTLY?? You might be paying low power factor PENALTY! Why? TNB is changing some of the energy kWh meter to digital types for some commercial and small industrial lots. It has the ability to show POWER FACTOR (PF) of the electrical systems. 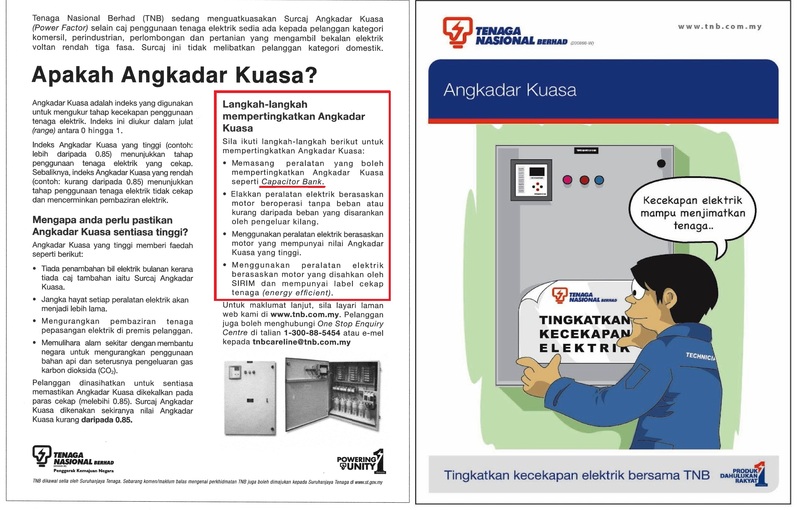 In TNB’s tariffs, the minimum PF should be 0.85 for low voltage system. When the value drops below 0.85, TNB will impose penalty. How do I know if I’m paying the PENALTY? 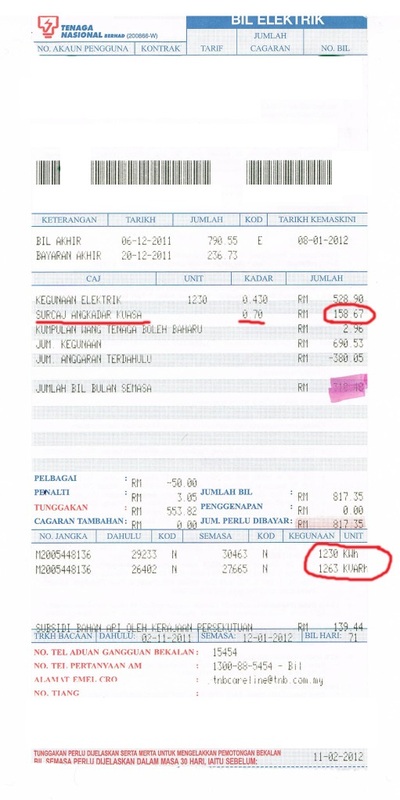 Look at the electricity bill, under item “POWER FACTOR SURCHARGE” or “SURCAJ ANGKADAR KUASA”. For any value below 0.85, charges will appear. What Causes Power Factor Penalty? By inductive electrical equipments with windings or coils inside. such as air-conditioner motors, pumps, air-conditioners, fluorescent lights & etc.